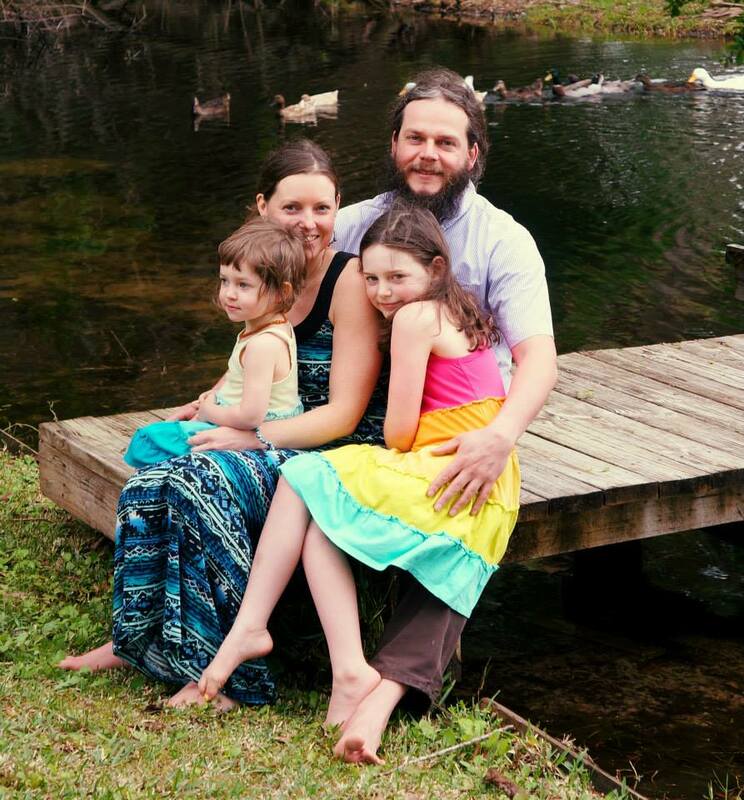 Willow Crossing Farm is an experimental and educational organic family farm, and the birthplace of the Prospect Rock Permaculture Project. We grow a diversity of nuts, fruit trees, vines, berries, vegetables, medicinal and culinary herbs and teas, sell nursery plants, produce eggs and honey, and host a variety of educational programs. We research, innovate, experiment, evaluate, demonstrate, and educate about new crops, techniques, and value-added products that have the potential to be both profitable and ‘ecologically regenerative’. Our mission embody permaculture design as an economically viable farm and homestead that increases ecological health while meeting human needs. The site itself is rich alluvial floodplain and floodplain terrace, including ponds, wetlands, upland forest, and over 3/4 miles of Lamoille River edge. While mismanaged in the past (from an ecological perspective), we are slowly creating a sanctuary for wildlife: birds, insects, rare and endangered wetland and riparian plants and animals; and connecting people to the natural world and cultivated diversity. We have been working with ‘Trees for Streams’, the Lamoille County Watershed Alliance, the Anglers’ Association, and other groups to reforest eroding riverbanks with native and valuable multi-purpose trees. As of fall 2010, we are enrolled in the CREP (Conservation Reserve Enhancement) program through FSA (Farm Service Agency) and NRCS (Natural Resources Conservation Service), and as of spring 2011 EQIP (Ecological Quality Incentives Program). 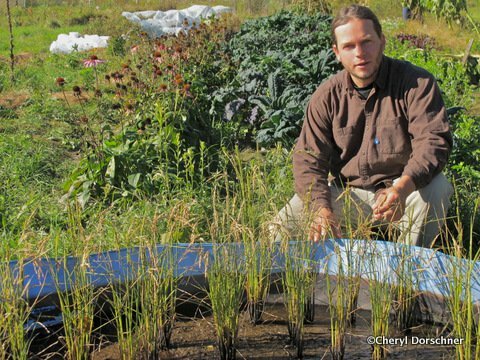 We have some of the regions most diverse productive riparian buffers, and seek to make an example of profitable reforestation of our river corridors. In addition to earning a living, offering employment for friends and neighbors, and producing an abundance of nutrient dense organic food and medicines to our community- our goals include welcoming the wildlife that shares our farmland, providing refuge and habitat for birds, bees, and other insects, and contributing to a healthy watershed for our valley by connecting people with wild nature and regenerative human ecology for purposes of healing both the land and ourselves. Presently, we direct market eggs, honey, vegetables, nuts, medicinal herbs, teas and tinctures, fresh fruit and berries, nursery plants, pickles, and preserves to community members, in Burlington, and area restaurants. We also host workshops on natural beekeeping; fruit and nut tree pruning, grafting, and propagation; natural building; and permaculture design. As we’re along the Lamoille River, adjacent to the Long Trail, and on the Rail Trail, we also aim to provide opportunities for people to connect with their food system and the natural world while enjoying a variety of recreational activities. Please in touch for information about farm-based hostel opportunities, investing or partnering in our farmstand ‘diner’, or ‘Chef in the Field’ Dinner Events.. In terms of crops- I have been collecting and experimenting with (almost) everything one can grow in Vermont, and some things that you “can’t” grow in Vermont for over 13 years. A few have stood out and performed exceedingly well in our trials and we’re undertaking more serious market production: Hybrid Hazel Nuts, Hardy Kiwis, Hybrid Chestnuts, Hybrid Juglanacea (walnuts, butternuts, ‘buartnuts’, ‘butter-buarts’, pecans, and ‘hicans’), Pine Nuts, True Rice (Oryza), Styrian Pumpkins (for Pumpkin Seed Oil and seed production), and unheated Winer Vegetable Production. In addition to producing these crops as foods, we’ve been selecting and preserving the best genetics adapted for our region, and sell seed or other propagules of our collected varieties to other farms and growers. For this coming season, we will also be building our team with more and/ or longer term employees, please be in touch about seasonal crew and internship opportunities. Draft film of time-lapse aerial photography showing riverbank erosion from 1942- 2009. The area ‘in motion’ is one of our primary reforestation focuses. We will be uploading the whole article and a good deal of press and other stories from the past few years later this winter (2014). 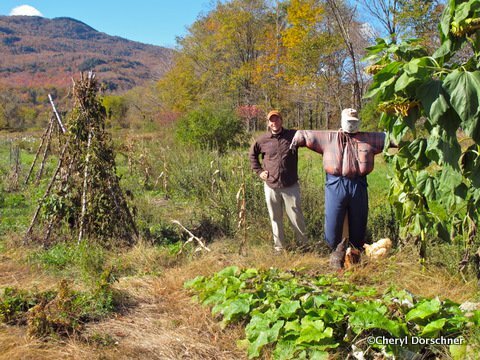 Keith Morris and family try to model their gardens and homestead — Willow Crossing Farm in Johnson, VT — after “real ecology” with dramatic results. Diverse, multi-use plants, Morris says, are key to figuring out what will grow and feed Vermonters in the coming years. do you have anythings going on throughout the winters?!!?! Thanks for writing. We grow salad greens in an unheated greenhouse and continue nursery work well into winter months. However, we do not have any events or tours planned for this winter. We’ll announce the 2012 schedule in the next few weeks, and will have some exciting things to share as early as April.